TRANSFER NEWS is coming thick and fast with the summer window fast approaching and Unique Sport is on hand to bring you all the latest gossip. Jose Mourinho has made Napoli midfielder Jorginho one of his top transfer targets this summer – if a move for Toni Kroos falls through. 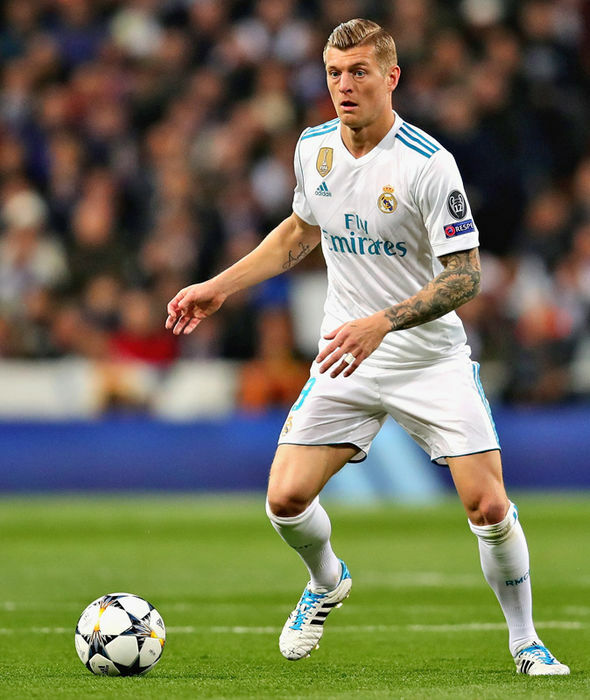 Kroos signed a new contract until 2022 and is one of Madrid’s best players but he could be made available in the summer for their own squad overhaul. But should United failed to sign Kroos, the Independent say Jorginho has emerged as the top alternative. Jorginho has been a regular for a Napoli side which competing for the Serie A title. Neymar has told Real Madrid to raid Manchester United and Liverpool before a potential move to the Bernabeu, reports say. Neymar is on Real Madrid’s radar with the PSG star disillusioned with life at the Parc des Princes. But Spanish outlet Don Balon report that any move to Real Madrid hinges on who else they promise to bring in. Liverpool star Mohamed Salah is reportedly one of the players Neymar would like to see sign. And Don Balon say he also wants Real to sign Manchester United’s David De Gea. 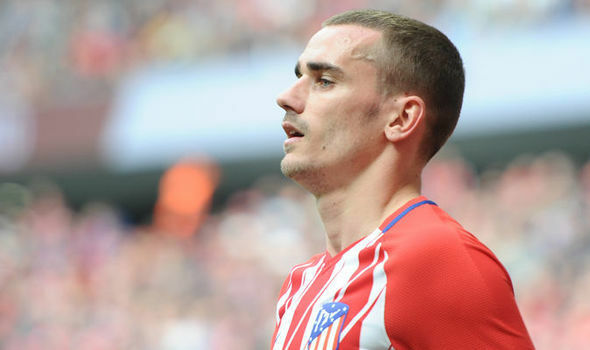 Antoine Griezmann has reportedly made a decision to not join Barcelona in the summer. Barcelona have been long-term admirers of Griezmann and are said to be willing to meet the striker’s €100million (£87m) release clause. However, Spanish outlet Diario Gol claim that the Atletico Madrid forward does not want to move to the Nou Camp for fear of living in Lionel Messi’s shadow. The France international is said to believe that his arrival would upset the South American trio of Messi, Philippe Coutinho and Luis Suarez, because he would be taking the latter’s position. Griezmann supposedly is worried that his career could nosedive just like Ousmane Dembele, who has struggled to break into the starting XI since moving from Borussia Dortmund at the beginning of the season. 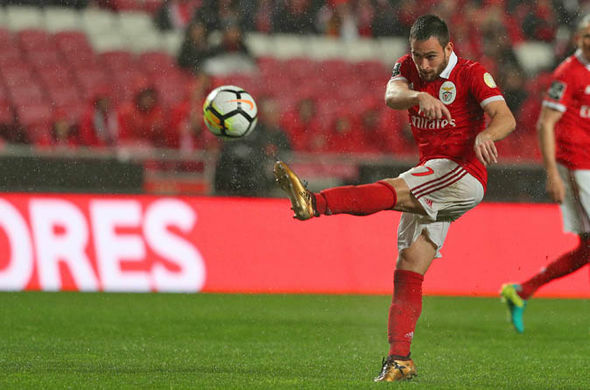 Liverpool and Tottenham are motoring Benfica winger Andrija Zivkovic. The Serbian is said to have caught the eye of both Premier League clubs after impressing in Portugal this season. He played in Sunday’s crunch clash with Porto. And the Sun claim both Liverpool and Spurs officials were on hand to watch him in action. Paul Pogba is now 2-1 to join PSG this summer. The bookies are losing confidence in Manchester United keeping hold of their midfielder. Pogba is set to be dropped for tonight’s clash with Bournemouth. And he is close to the Old Trafford exit door, with PSG on the horizon, reckon Coral. Liverpool have surprisingly been made favourites to sign Fulham star Ryan Sessegnon despite interest from Tottenham and Arsenal. Sessegnon has been in fine form for Fulham this season with Liverpool, Tottenham and Arsenal all keen to snap him up. Bookies Coral have made Liverpool favourites to secure his signature with odds of 6-4. “Liverpool are leading the chase to sign Ryan Sessegnon, according to the betting, however, it looks like all the top Premier League clubs are interested in the Fulham player therefore there could be a bidding war for his services this summer,” said Coral’s John Hill. Manchester United have made Real Madrid star Toni Kroos a top summer target but have four alternatives lined up. The Independent claim Jose Mourinho wants to bring Kroos to the club, however United have contingency plans in place incase he snubs them. 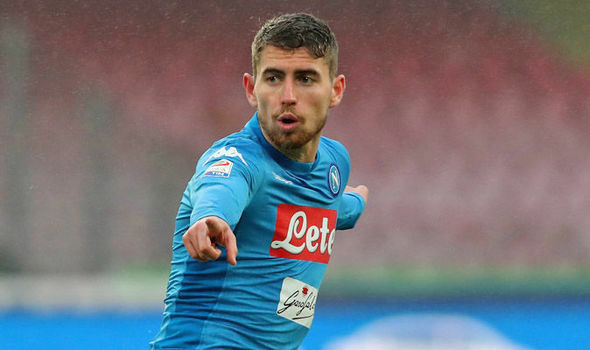 Napoli star Jorginho is said to be on their list with Jose Mourinho impressed by his development. The full list of fixtures for the International Champions Cup has been announced. Manchester United, Liverpool, Chelsea and Arsenal are all competing in the pre-season tournament. Real Madrid, Barcelona, Bayern Munich and Juventus are all set to take part too. Real Madrid boss Zinedine Zidane wants to sign Manchester United star Paul Pogba. But Don Balon say club president Florentino Perez thinks differently. That has supposedly caused a rift with Pogba’s future now shrouded in uncertainty. Liverpool are set to keep Mohamed Salah out of the clutches of Real Madrid and Barcelona, reports say. Liverpool star Salah is on the radar of Real Madrid and Barcelona with the La Liga giants both eyeing a deal in the summer. But the Mirror say Salah is ‘certain’ to be at Liverpool next season. The Reds view him as their most important asset of all as they aim to mount a Premier League title challenge next season. Ruben Neves’ form for promoted Wolverhampton Wanders is good enough to play for Liverpool, according to Stan Collymore. “Not only can Wolves stay up in the Premier League next season but they could do it with the team they’ve got now,” Collymore said in the Mirror. “Their technical ability is exceptional and in Ruben Neves, who is only 21, they have a player who could be a superstar. Mohamed Salah reportedly prefers the idea of playing at Barcelona with Lionel Messi than he does with Cristiano Ronaldo in Madrid. Liverpool are adamant he won’t be sold but reports in Spain suggest Salah is coming round to the idea of a once in a lifetime chance to move to one of La Liga’s top clubs. However, Don Balon say if Salah had the choice to leave Liverpool this summer he would prefer a move to the Nou Camp over Madrid. Don Balon say no move to Barcelona is currently possible though with the La Liga leaders currently pursuing Antoine Griezmann. However, if Barcelona fail to sign Griezmann, the Spanish report claims Salah would ditch plans to join Madrid in favour of a move to the Catalan giants. Manchester United will not be signing Harry Maguire from Leicester this summer. At least that’s what Foxes boss Claude Puel has claimed, branding talk of a move happening at the end of the season as “speculation”. “Harry is a valuable player for us and I want to build my team around him,” said Puel. “It’s just speculation. “He came into Leicester, played, developed and he needs to continue to improve. Chelsea may be forced to play a waiting game should they wish to sign Nice star Jean Michael Seri, reports claim. As far as Seri is concerned, the Ivory Coast international would supposedly fetch £35million and his performances haven’t gone unnoticed. According to the Daily Mirror, Seri won’t make a decision on whether to join the west London outfit until Antonio Conte’s future is sorted. Arsenal may well be at tipping point with manager Arsene Wenger due to the drop in attendances at recent home matches, says BBC Sport pundit Chris Sutton. Is that the tipping point?,” Sutton told BBC Radio 5 Live. “The fact that the Emirates, it has been empty. It has. “I went to the Watford game, nobody there.